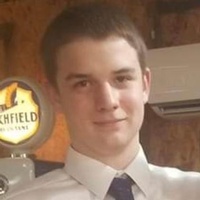 Douglas “Gage” Hite, 15, of Miles passed away Sunday, April 14, 2019. He was born February 23, 2004 to Wendall Bowie and Shana Hite in San Angelo. Gage was a freshman at Miles High School. He was a member of the high school band and participated in UIL. He was a member of Trinity Lutheran Church in Miles. Gage is survived by his parents, Gary and Shana Hite Wanoreck and Wendall Bowie; a brother, Joby Tolbert; grandparents, Elaine and Paul Hite, Aileen Bowie, and Nola Wanoreck; aunts and uncles, Doug and Stephanie Hite, Paula Hite Ralph and Diane Goble, Michael and Sharon Wanoreck, and Jeff and Judy Odell, ; cousins, Tanner and Rachel Hite, Harper and Hadden Hite, Eric and Kaci Gully, Zack and Jenna Smith and son, Dean, Guy and Jessica Van Pelt, and Garrett Smith. Visitation for family and friends will be held from 6:00-7:00 pm on Wednesday at Lange Funeral Home in Ballinger. Services will be held at 1:00 pm on Thursday at Trinity Lutheran Church in Miles with Pastor Diane Eggemeyer officiating. Burial will follow at the Miles Cemetery.